Learn about the most important social skills a child should develop to make his/her social life successful and enriching. A retired police officer and the director of school safety and security for a large school district provides important precautions to consider as a child with autism matures into an adult. In celebration of National Grandparent’s Day celebrated this month, the mother of child with autism shares some simple tips for grandparents who want to play a vital and proactive role in their grandchildren’s lives. Terrific social stories that center on middle school, friendships, and riding the school bus, prepared by a young woman with Asperger’s syndrome. A devoted father shares his dream for his son with autism to find a supportive and loving spouse in the future. The founder of The McClane Gang describes the benefits of skateboarding for children with autism. A young woman with Asperger’s syndrome describes the challenges she experienced growing up and how she worked to follow her dreams. A young man with autism describes why he enjoys volunteering his time and making a difference in the world. A young woman with autism describes her journey toward becoming a Registered Behavior Technician, now helping children with ASD. A young man diagnosed with Asperger’s syndrome shares his personal thoughts on autism. A well-known musician, painter, and writer with Asperger’s syndrome reflects on life with autism. Learn about how the parents of a child with autism created a specialized gym to benefit the physical, emotional, and social development of children with autism spectrum disorder. A mother of two boys with special needs, including Down syndrome and autism, reaches out to readers in an effort to create a supportive community. A lecturer at Nash College, UK shares some helpful ways to assist a person with ASD in order to prepare for a journey. A mother of a flourishing young woman with autism describes their impressive journey together, filled with love and support. Learn how important art is to all children and be inspired by five creative projects that promote learning. Learn about how broad spectrum enzymes can assist in the digestion of many foods and help improve health. Learn some great tips from a pediatric occupational therapist on ways to bring playfulness into your child’s daily life. Learn how to apply for the Gardiner Scholarship program which allows children with autism to access individualized therapy services, such as those offered by the clinical team at The Els Center of Excellence. HELP: How Can I Promote A Sibling Bond When One Child Has Autism? Expert advice on easy ways to help a young boy with autism better connect with his younger, neurotypical brother. Expert strategies that may help improve academic performance as well as lessen outbursts and/or alienating peers. Professional advice on ways to help a child with autism stay protected while playing the highly-popular mobile game known as Pokémon GO. Expert advice on the importance of understanding personal retirement options when you have a child with special needs. Cool off from the summer heat with this simply delicious salad with homemade creamy orange dressing. Everyone needs a voice — everyone deserves an opportunity to tell his/her story. When people are provided with an outlet for expression, it allows for greater understanding and acceptance. In light of this, we’ve dedicated this issue of Autism Parenting Magazine to celebrating the voices of people who aren’t always heard. We are thrilled to feature five writers diagnosed with autism who have generously shared their very personal narratives with us. It’s our hope their words will encourage more people on the spectrum to express themselves — and perhaps inspire more people to listen. First, we would like to introduce you to a well-known musician, painter, and writer named Yap who shares his journey with Asperger’s syndrome. Be sure to read his deepest thoughts on how the surrounding world leaves his mind in a constant state of resonance in My Voice: Why I Hide. We are also happy to feature the work of 14-year-old Nick Turziano, who is diagnosed with Asperger’s syndrome and makes a difference in his community every day through volunteerism. Please take a look at his piece, My Voice: Why Autism in My Gift, as this dynamic young man describes autism as a gift from which all people can learn. Another important voice that ought to be heard is 15-year-old Zachary Stoner, also diagnosed with Asperger’s syndrome. While he admits to battling with control and concentration in his piece My Voice: How Autism Has Made Me Who I Am, he says life on the spectrum has also provided him with an amazing imagination and meaningful friendships. For another inspirational viewpoint, take a look at Carla Burn’s piece called My Voice: Conquering the Beginning. This young woman, now involved in a group that works to empower people on the spectrum, describes the challenges she experienced growing up and how she worked to follow her dreams with Asperger’s syndrome. We also are happy to share a piece with you called My Voice: Following My Special Life Dream, written by Kaelynn Partlow. You will continue to be inspired as you learn about Kaelynn’s journey toward working with children with autism after being diagnosed with dyslexia, dyscalculia, dysgraphia, ADHD, autism, sensory processing disorder, and visual processing disorder as a young girl. Her experiences, she says, have given her a unique edge in working with clients today. With a new school year beginning for many young people, we are eager to share a piece written by a woman with Asperger’s syndrome whose perspective may help your family with the transition. Take a look at Leanne Strong’s article called Super Social Stories to Use in the New School Year for social stories that center on friendship, riding the school bus, and preparing for middle school. Her firsthand experience speaks volumes. Another important topic as the kids head back to school is safety. Chances are, you have heard of the mobile game sensation known as Pokémon GO. While there are many benefits to playing Pokémon GO, there are also some safety concerns connected to the game, especially as older kids head out the door for school with their smartphones. Please take a look at Sarah Kupferschmidt’s professional advice on ways to help your child stay protected in Simple Ways to Make Pokémon GO Safe with Autism. An additional subject that warrants attention as your child spends more time away from home is sexuality. Please take a look at Joseph Pangaro’s Smart Ways to Deal with Sexuality and Autism, as the director of school safety and security for a large school district provides important precautions to take as a child matures into an adult. His advice is valuable for all families. In celebration of both a new school year and National Grandparent’s Day celebrated this month, Deanna Picon’s has prepared a piece for us called 5 Ways For Back To School Success With Your Special Needs Grandchild which provides simple tips for grandparents who want to play a vital and proactive role in their grandchildren’s lives. Deanna’s advice is perfect for sharing with the people you love. In addition to professional guidance, personal narratives and safety articles this month, be sure to check out our informative articles about exercise, tips for traveling, cool art projects, and advice on ways to improve executive functioning. We would like to take a moment to thank both our dedicated writers as well as our subscribers for coming together to create such a special autism community. 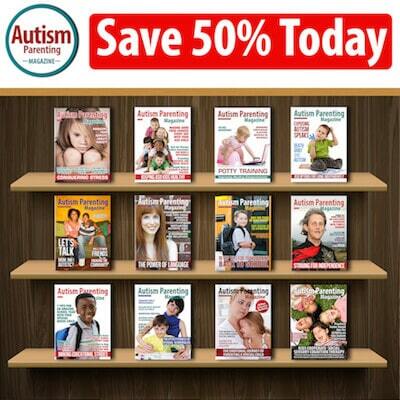 I have worked for many publications throughout my career, and I consider working as Editor-in-Chief of Autism Parenting Magazine the past two years the most gratifying. Wishing everyone a smooth end to summer and happy beginnings.